Free Genealogy Work Log – The Work Log is formatted to help you keep track of the lines you are researching. For example, you may find a lead (website reference or census link etc.) on a family line that you’re researching, but because your busy, you have to set aside your research to attend to other matters. After a number of weeks, you come back to your research only to find that you can’t find the lead you found. Talk about frustrating! The Genealogy Work Log is a very simple spreadsheet to help you keep track of what you’re working on. Download ours, or build your own. A very simple log should contain the date for your entry, the line you’re researching, the person’s name within the line, notes of what you need to do, and a follow up column where you can mark the item off your list when completed. To download the Genealogy Work Log, click here. 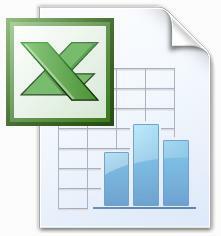 The Work Log is created in Microsoft Excel and is compressed (zipped) for a faster download.